Packaging bar code labels provide a secure method to identify and track products and packages during manufacturing, shipping and storage. Both you and your customer can track your packages during shipping, providing you with critical information about equipment and inventory that is in transit. Identifying and locating products in a warehouse or storage facility can minimize inventory loss and ensure that the inventory is available when needed for production. 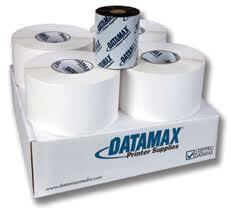 Boomerang offers high quality packaging bar code labels and printers from Datamax and Zebra. The labels are designed for clear, high-definition printing and to securely adhere to the package. Labels are available for custom sizes, no-residue removal after shipping and for a wide range of printers. Boomerang’s staff will help you select the most appropriate bar code label and printer for you application and printer. We will work with you to ensure that your packages and products have the label that will make tracking and identifying them easy and effective. It’s all in our name- we work hard for you, so that you keep coming back- Boomerang!